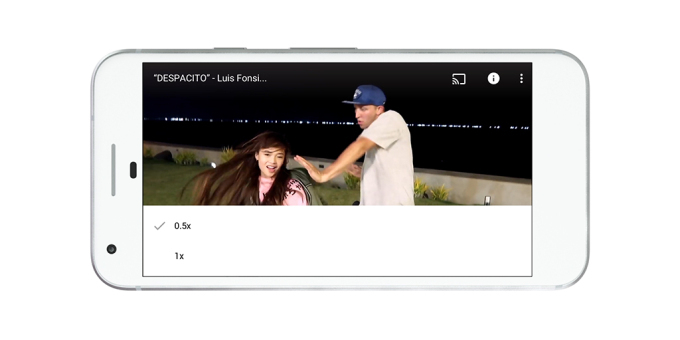 YouTube is getting its biggest makeover to date. 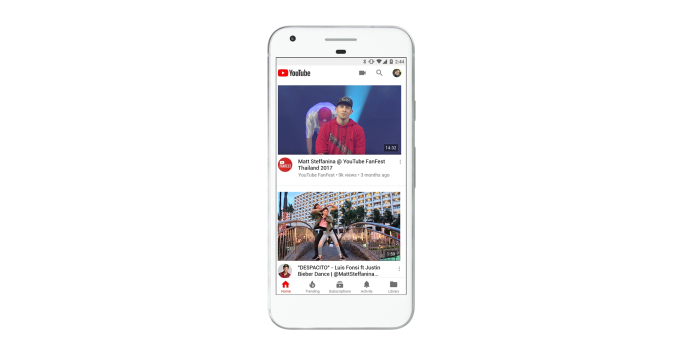 Google today announced a few changes coming to its mobile apps and desktop site, including a visual update for the well-known YouTube logo! This is the biggest change the YouTube logo has received over the years, as earlier improvements were much more minor tweaks, as you can see in the image below. Google says this new logo – a cleaned up version of the YouTube wordmark and icon – was designed to be more flexible across devices of varying screen sizes. On smaller screens, YouTube can use just the icon alone to abbreviate its logo, while still making it easy to spot. The updated logo and icon are rolling out across desktop and mobile starting today, before arriving on other apps and services. Clean new design: White headers, bottom navigation tabs. Videos that move with you: Jump between videos with a simple swipe of your hand: just swipe left to watch a previous video or swipe right to watch the next one. Watch at your own pace: Speed up and slow down the playback of a video on the YouTube app. Adapt to any video: Soon, the YouTube player will seamlessly change shape to match the video format you’re watching, such as vertical, square or horizontal. That means you’ll always get the best viewing experience automatically – including vertical videos with no black bars on the sides! Browse and discover while you watch: View a row of suggested videos while you’re watching in full screen. The Desktop version is also being updated with the new Material Design that delivers a fresh, simple and intuitive user experience that lets the content shine. A new Dark Theme has been added, which turns the background dark while you watch for a more cinematic look.